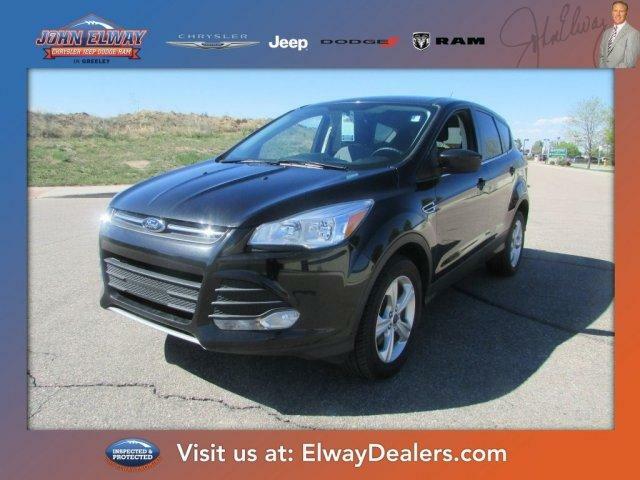 If you demand the best things in life, this outstanding 2013 Ford Escape is the gas-saving SUV for you. This fantastic Ford is one of the most sought after used vehicles on the market because it NEVER lets owners down. 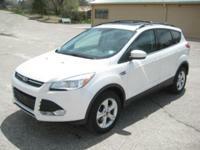 Motor Trend credits the Escape with Euro-chic styling, astute packaging and high feature content. So that you can buy with confidence, we have spent more than $300 in the shop so that you wouldn't need to! Our certified technicians performed a complete LOF and topped off all fluids, completed a recall repair, and repaired a coolant leak. This one won't last long, so call today to schedule your test drive! 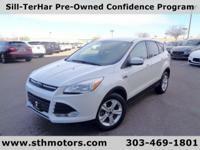 CARFAX ONE OWNER, FULL MULTIPOINT INSPECTION PERFORMED, Elway Inspected & Protected, AWD. 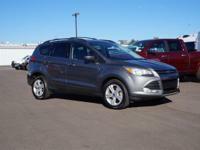 Ford, Escape, GREELEY, DENVER, FRONT RANGE, FT COLLINS, LOVELAND, NORTHERN COLORADO, 80634.